Day 1 CPT University is probably what you are searching for as a freshman. However, before enrolling to Day 1 CPT Program here are some necessary things that you simply need to know. CPT or Curricular Practical Training allows F1 visa international students to gain employment training and to work in paid internship positions. This employment is an integral part of an established curriculum which includes “alternate work/study, internship, cooperative education, or any other type of required internship or practicum which is offered by sponsoring employers through cooperative agreements with the school.” This gives students a chance to work full time, i.e., more than 20 hours per week or part-time, i.e., 20 hours or less per week while earning money in US dollars and gain work experience in their area of interest. 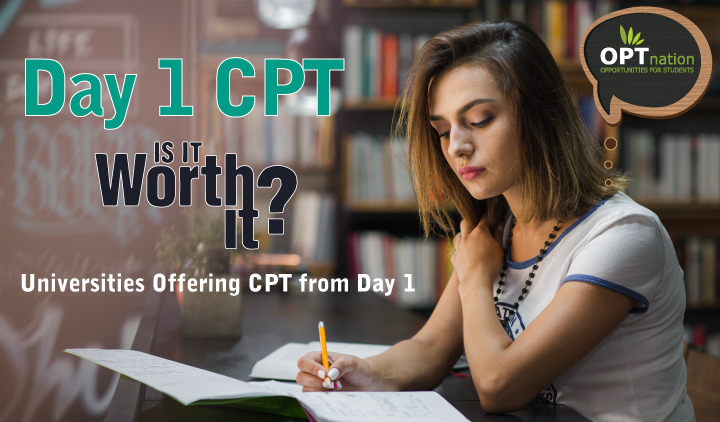 It is noteworthy that CPT is available only before you complete your degree program and you must possess a job offer at the time of application. CPT employment may not delay the completion of the academic program. The US government only authorizes CPT-work for one semester at a time. Students are required to maintain full-time enrollment during fall and winter CPT. Full-time enrollment is 12 credit hours for undergraduate students, 8 credit hours for graduate students and 6 credit hours for Graduate Student Instructors and Graduate Student Research Assistants. This blog will explain to you about Day 1 CPT Universities and its eligibility for F1 international students. Degree based CPT – When it is a necessity that all students in the degree program are required to complete an internship to obtain the degree. Course-based CPT – When it is a necessity that all students enrolled in a particular course require employment in order to earn a grade or a course where students design their own research project based on employment. Co-operative CPT – CPT may be authorized when the employment is part of an established formal co-operative educational agreement between your department and a specific employer. Most universities in the USA don’t allow F1 students to work on an internship during the first or second semester unless the program requires practical training as a part of the curriculum from the first semester. Here are the regulations about this policy from the USCIS manual. Practical training may be authorized to an F-1 student who has been lawfully enrolled on a full-time basis, in a Service-approved college, university, conservatory, or seminary for one full academic year. This provision also includes students who, during their course of study, were enrolled in a study abroad program, if the student had spent at least one full academic term enrolled in a full course of study in the United States prior to studying abroad. As per the F-1 Visa regulations, if the curriculum requires practical training, then students are eligible for CPT from day 1 of the first semester. Some universities are designing programs to allow practical training from the first day of their college. They are called “Day 1 CPT Universities”. Exceptions to the one academic year requirement are provided for students enrolled in graduate studies that require immediate participation in curricular practical training. During the CPT work authorization, please make sure that your work is related to your degree. Besides, you are not supposed to use the CPT for more than 12 months. Must have been enrolled for at least one academic year in a degree-seeking program before they can apply for CPT. The only exception to this regulation is provided for graduate students whose programs require immediate participation in CPT and is stated as such in the USC Catalogue. Students in the following master’s degree programs DO NOT need to fulfill the one academic year requirement in order to apply for CPT. The student must have a major. Pre-major students are not eligible for CPT. If you’re doing a minor or certificate program, CPT won’t be authorized to you. The student must have a specific job/internship offer and it must be related to their major. Visiting exchange students are not eligible for CPT. Students are required to register for 1 – 2 units of an internship course or a class that needs an internship at USC during the semester they wish to do CPT. Students who are enrolled in degree programs that require them to do an internship do not require registering in an internship course for CPT purposes. Graduate students must register for the internship course that is offered by their academic department. They are required to submit the completed Request for D-Clearance Form to their department staff advisor for review. Graduate engineering students register for ENGR 596. Visit the Viterbi GAPP Office website for additional CPT information. Graduate business students: Register for ACCT, BAEP, BUCO, DSO, FBE, MKT, or MOR 595. Visit Marshall’s website for additional information and the registration application form. You are required to pursue a full-time academic program on a valid F-1 status. CPT needs to be an important part of a degree program or should be the requirement of the course that you are pursuing. You must conduct CPT in the field of your study. You are required to have a CPT Job offer in hand before submitting a CPT authorization request. 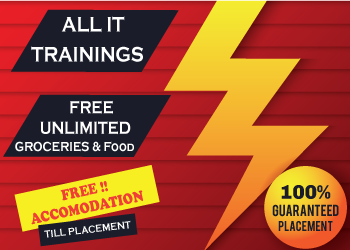 There are many colleges and Universities offering CPT from first semester or day 1 in USA. Harrisburg University of Science and Technology, Harrisburg, Pennsylvania – offers CPT in the 1st semester of study. This University allows you to do a full-time CPT, 40 hours a week. *Note – To get a CPT for more than a semester at Coleman and International Technological University you are required to go to school at least once in a month. They also require one face to face class in a month and it is during the weekends. Harrisburg University of Science and Technology, Harrisburg, Pennsylvania – 1st semester or 2nd master semester – This University allows you to do a full-time CPT, 40 hours a week starting in your first or second semester. The University of the Cumberlands – Offers Day 1 CPT. You will be rеquіrеd to аttеnd thrее іn-реrѕоn course mееtіng classes. This іѕ mаndаtоrу if you want to соntіnuе to rесеіvе CPT аuthоrіzаtіоn. At Sullivan University, Louisville & Lexington, Kentucky, you can start your CPT in your MBA or your Masters once you have already had at least one year of Master studies accredited by another university. If you fall under these criteria, you can start your CPT during your first week at university. Wichita State University, Wichita, Kentucky offers CPT after 9 months of studying. Globe University/Minnesota School of Business, Woodbury, Minnesota, offer Day 1 CPT. During your CPT, this university offers classes every 11 weeks that are conducted during the weekend. Hamline University, Saint Paul, Minnesota – Offers CPT for students enrolled full-time for one academic year before starting CPT. The exception exists for graduate students whose program requires immediate practical training or CPT. Work Internship must be identified as an “integral part of an established curriculum.” The student must be registered for at least one course related to the CPT for each term during which CPT is authorized. Should students consider Day 1 CPT? CPT from day 1 is actually nor approved neither illegalized by the USCIS. If USCIS considers the purpose of Day 1 CPT Universities Program as unauthorized, then F1 students may be fall under unlawful presence. Opting for Day 1 CPT may cause some troubles like immigration issue which appears on H1B filing, extension and also during Green Card processing. It is also not recommended to join a university just for taking the Day 1 CPT. In many cases, the MS students with H1B that are not picked in the lottery have approached the universities for Day 1 CPT program in order to extend their status of USA visa to gain work authorization until the H1B status is not acquired. Instead, go for some higher degrees like Ph.D. You can apply for a new OPT authorization for each new degree level you complete – for instance, if you receive a Bachelor’s degree, you can apply for OPT and work for a year, go back to graduate school and do your Masters, and then when you complete your Masters or Ph.D., you can apply for OPT again and work for another year. Finally, do your full research and consult an attorney before taking any decision.